Beautiful leather messenger bag with unique vertical Mola textile application on the front side. There is only ONE exemplar of each bag! Choose yours before it´s too late! Practical and simple design perfect for A4 documents and Tablets and Notebooks. 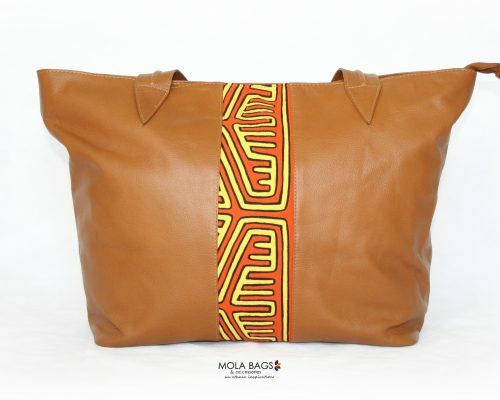 High quality curated cowhide leather perfect for daily use and no extra care needed. Main compartment available through a zipper with other small pockets easy to reach. Back extra pocket and front small compartments for business cards, pencils, and a smartphone. 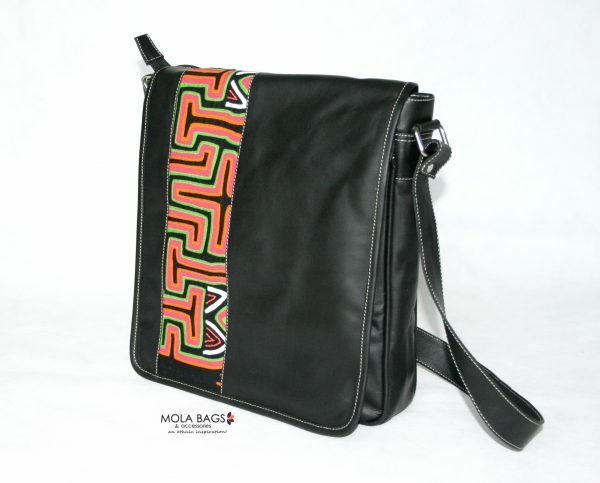 With an adjustable shoulder strap and a practical front-flap closed with magnetic closures. Dimensions: Lenght-Height-Width: 30 x 35 x 10cms. 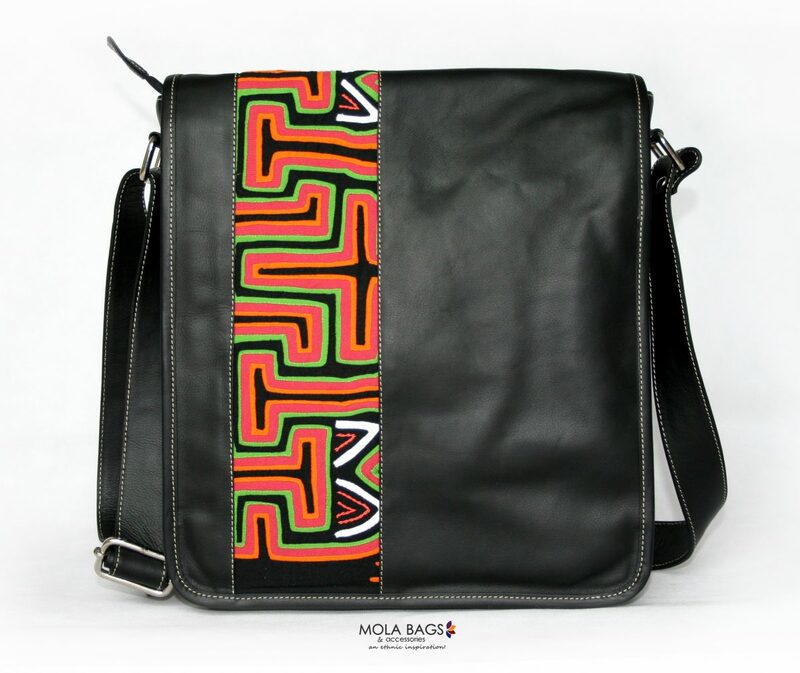 Strap lenght: Max.65cms. Min. 33cms. 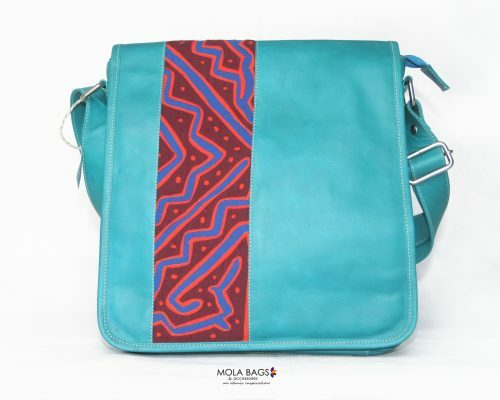 Materials used: High-Quality Cowhide leather, Mola-Dekor from Cotton, Inside Lining from Polyester. Process: Molas are handmade usually done in reverse appliqué technique, using two or more layers of cloth and cutting through to reveal the color underneath. 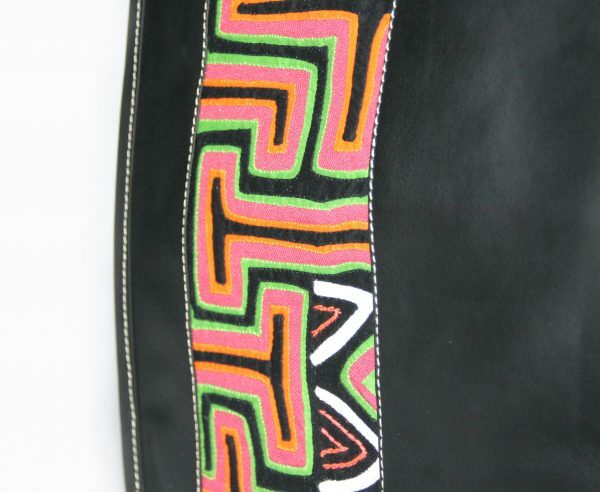 Handsewn by women from the Kuna community. 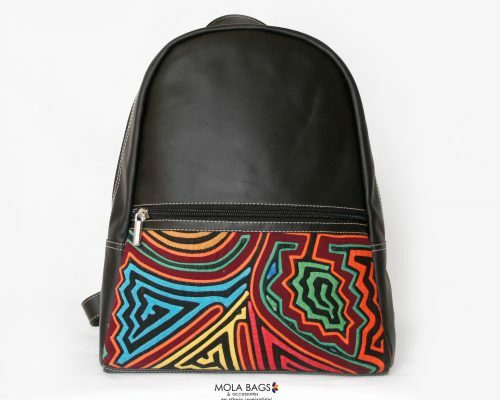 Leather application handmade by our artisan family in Bogotá, Colombia. 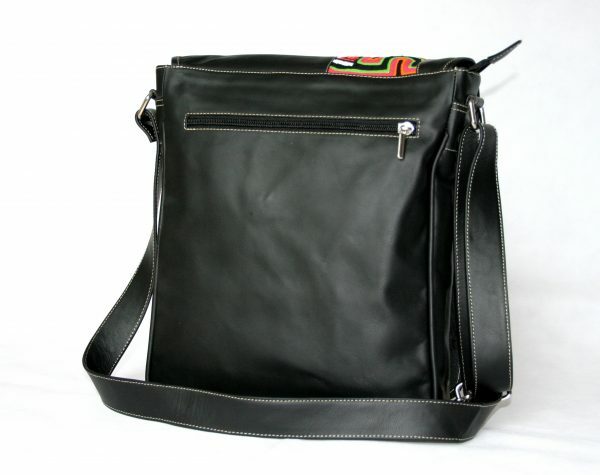 Shine out of the crowd with this unique messenger bag! Everyone will be charmed by the colors and shapes! Become a carrier of Art full of great historic and cultural value from Latin America!